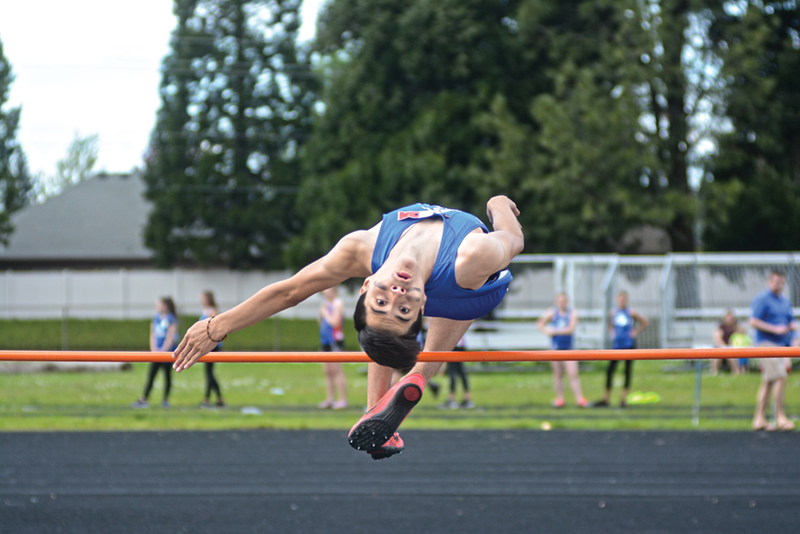 The bright future of McNary’s track and field program was on full display Thursday, May 4 as Whiteaker and Claggett Creek middle school went head-to-head in both team’s final dual of the season. Whiteaker eighth grader Leah Doutt won both the girls 100 and 200-meter races in 12.88 and 27.40 seconds. Claggett Creek eighth graders Ethan Martin and Dyami Rios battled in the boys 100 and 200. Martin won the 100 in 11.21. Rios took second in 11.31 and then won the 200 in 23.63. Martin was second in 24.03. Whiteaker won both the girls 4×100 and 4×400 relays. Doutt, Isabella Walker, Taylor Ebbs and Isabel Cartwright finished the 4×100 in 53.68. Doutt, Kylie Nepstad, Emily Lettenmaier and Kennedy Buss then completed the 4×400 in 4:44.13. Claggett Creek swept the boys 4×100 and 4×400 relays. Martin, Rios, Gabriel Martinez and Emanuel Figueroa finished the 4×100 in 46.59. Figueroa, Torren Hamilton, Elijha Devoursney and Juan Diego Acosta Rosales then completed the 4×400 in 3:58.13. Buss won the girls 400 in 65.01 and Devoursney placed first in the boys 400 in 59.02. Whiteaker swept the girls and boys 800 and 1500 races with eighth grader Ella Repp winning both the girls 800 and 1500 in 2:47.36 and 5:35.21 and eighth grader Edgar Salazar winning the 800 in 2:22.47 and the 1500 in 5:00.37. Whiteaker also won both 100-meter hurdle races as eighth grader Ashlin Samples finished the girls event in 16.43 and eighth grader Rian Canini completed the boys race in 14.88. Emerson Woomer, a Whiteaker eighth grader, won the girls shot put with a throw of 35-1.5. She also took second in the discus at 84-04. Buss won the discus at 84-05. Rios won the shot put with a throw of 42-3.5 and Claggett Creek eighth grader Christian Aguilar won the discus at 115-10. Walker took first in the girls high jump, clearing 4-08. Canini and Martinez both went 5-0 to tie for first in the boys high jump. Canini also won the long jump at 17-0. Whiteaker seventh grader Stephanie Wade won the girls long jump by leaping 14-09.